This office building is situated at business park 'Het Hanzepark' in Deventer and houses 3700m2 office space, divided over more than 5 floors. 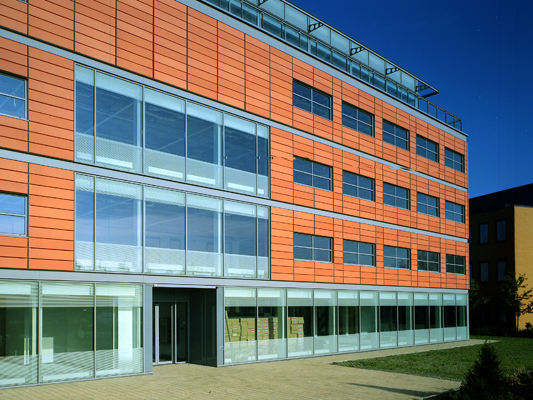 The office is suitable for one head tenant or several tenants on every floor. The area, where the buiding is situated, is a typical Dutch office park with good connection to the important highway. The design allows each tenant to create his own identity: A separate front door, a kitchenette and restroom for each tenant. 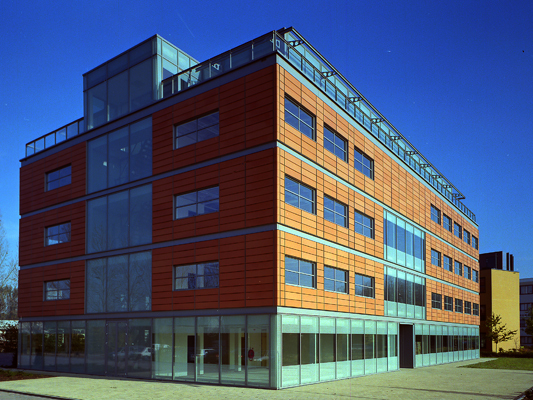 The use of ceramic elements and frameworks of the aluminium glass in façade gives the building a modern, durable and sophisticated character.